Tomorrow I’ll be running the United Airlines Half Marathon after successfully fundraising $1,765 for TeamForKids. 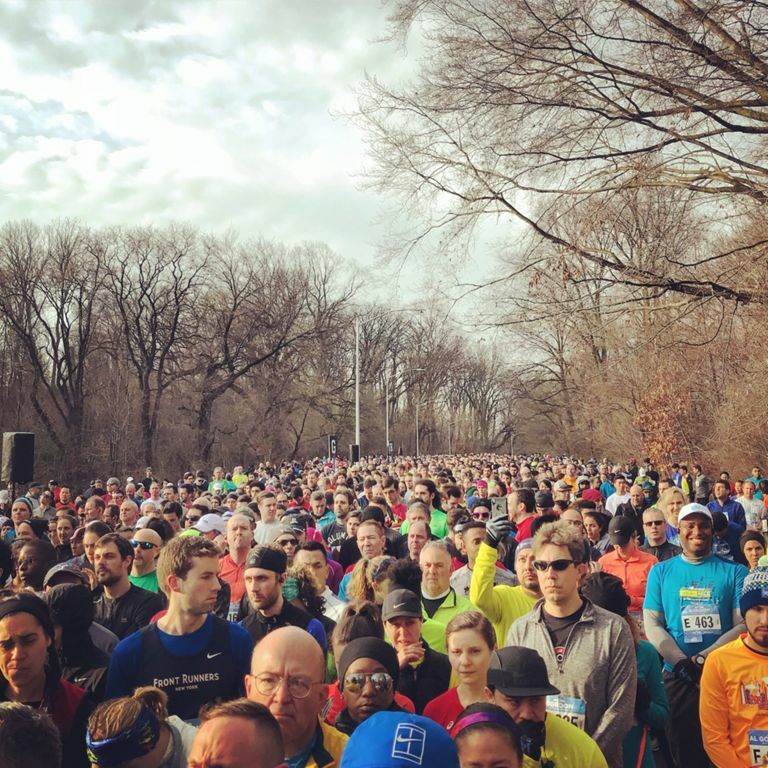 It’s an epic race that takes you from Prospect Park to Central Park. It’s the only time other than NYE that Times Square is closed to foot and car traffic and I can’t be more excited. I’ve watched a few New York marathons with envy, and only started running this summer. 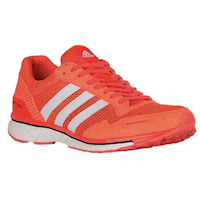 The whole New York running business was new to me and I had to piece together information from my runner friends. So, just like me, you’ve been running on your own, and decided to run a race? 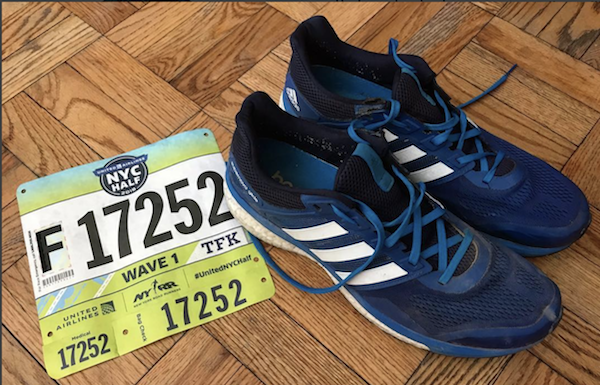 This post will demystify the running logistics in New York City, including financials and running for charity. 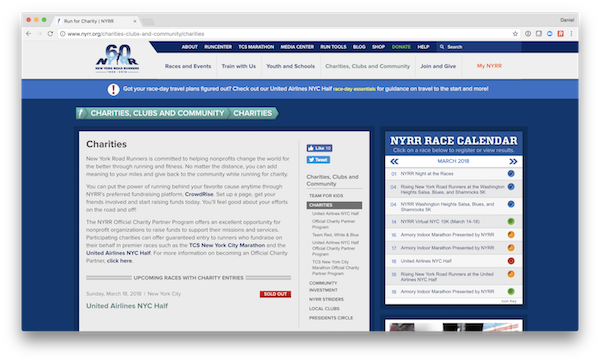 First, head to www.nyrr.org and create an account. You should also get a $40 yearly membership, which gives you race discounts that are quickly worth it. Get the NYRR app, too. 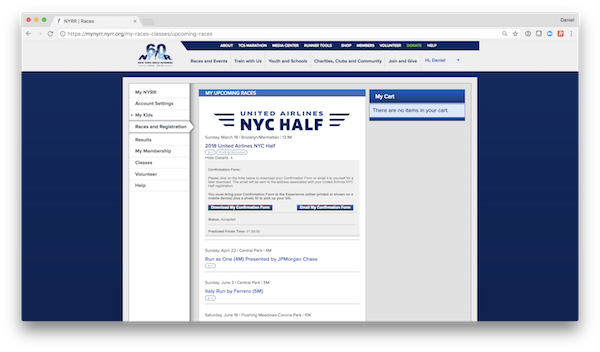 There’s a race calendar on the website and in the NYRR app. Pick one or two and add them to your cart. Go through the checkout process, check a bunch of boxes, and you’re in! 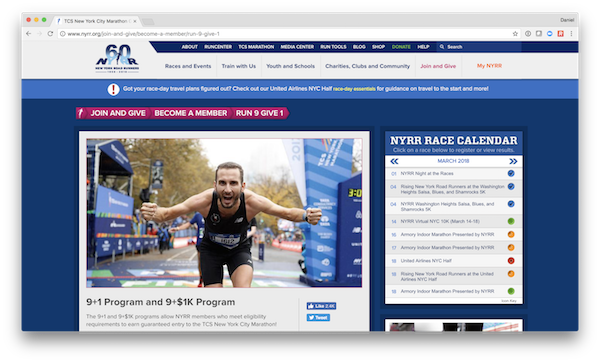 Short 4M races cost about $20 and the New York Marathon is $255 for NYRR members. Many races sell out fairly quickly, so don’t wait till last minute. Since you probably don’t qualify with super-human running time you may qualify for guaranteed entry to the lottery races by running enough of them the previous year. To run the marathon you must run 9 races and either volunteer for 1 or donate $1,000 the previous year. There are other programs that give you guaranteed access, such as the virtual 4 out of six. YMMV. If you don’t get into a race with the lottery or by being qualified, or a race has sold out, you can still run for a charity. 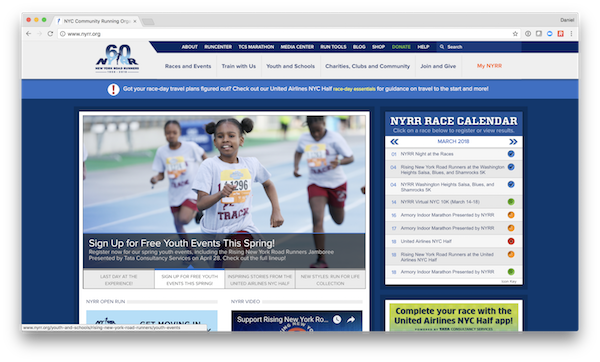 The default charity for NYRR is TeamForKids, but there are many other worthy ones. By running with a charity you’re committing to give at least $100 per mile, so thousands of dollars. I had to fundraise $1,310 for the United Airlines Half and am findraising $2,620 for the 2018 marathon. If you can’t raise the entire amount, it’s out of your pocket, so best is to be prepared to fork the entire amount in cash, and then to beg people to help you. The charity gives you a unique check-out code to register for the race, as above. You will get an extra t-shirt and maybe a special bib. But you still have to pay the race entry fees on top of the money raised for the charity. It’s all tax deductible, of course. You must pickup a bib with your race number at the NYRR Run Center in midtown Manhattan the week before a race. Bigger runs may have a different pickup location, such as the Metropolitan Pavilion on 18th street for the United Airlines Half. You will get some safety pins to pin the bib, a clear bag if you want to check-in stuff at the race and usually T-Shirt. I’ve also gotten a pair of good running gloves and even a warm winter hat for the Frank Lebow Manhattan Half. Most races are 8AM, some earlier. Set a couple of alarms and carefully examine the map for the start of the race and make sure to be there just in time. Give yourself an extra 10-15 minutes if you want to check-in the bag. Have your bib pinned and visible. The bib has a box letter (eg. “F”), so go to the box that contains a few dozen runners, and get ready to run. Your bib contains an RFID strip, which will automatically be detected as you run through the starting and the finish lines. 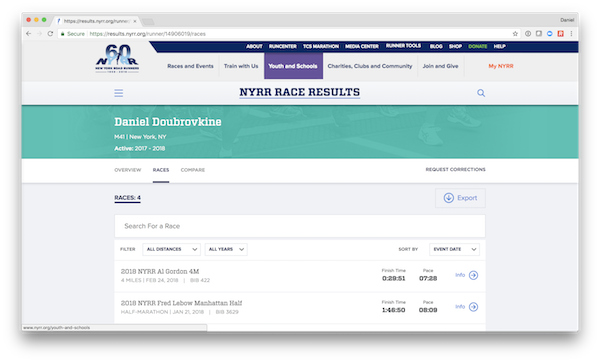 Your official time will be available on results.nyrr.org. Running a race with thousands of people gives you incredible energy. Give it a try! Was this post helpful? 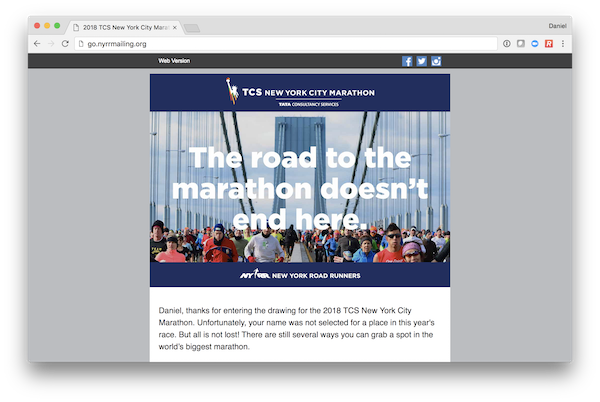 I’m running the NYC TCS Marathon in 2018 for TeamForKids charity. Please donate here. How to Run a Race in NYC was published on March 17, 2018 . See a typo?